Killington, Vermont is a premier ski resort located in southern Vermont within the Green Mountains and is accessible by bus and train from New York City. Transportation from Boston and Rutland are also available, and nearby airports include Albany, Hartford, Burlington, Boston, Manchester and Rutland. 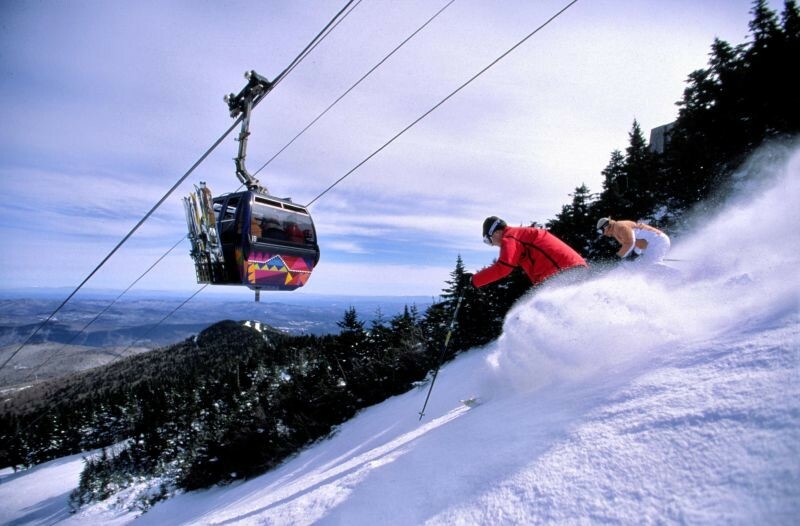 Nicknamed The Beast for its 1,509 skiable acres and expansive network of distinct base areas, Killington is heralded as one of the East Coast’s best ski destinations. Killington Peak summit sits at 4,241 ft. with a base elevation of 1,165 ft. The mountain is home to an extensive trail system that spans six mountains, plus sister resort, Pico Mountain that's just a 5-mile shuttle ride away. Killington's terrain is extremely diverse, ranging from gentle groomers and learning areas to steep mogul runs and gladed trails, as well as some of the best terrain parks in the Northeast. Non-skiing guests can also enjoy a wide variety of winter adventures, including snowmobile tours, the Beast Coaster, fat bike rentals, scenic gondola rides, sleigh rides, snowshoe tours and a tubing park. Located in the heart of the Green Mountains, Killington Resort is situated across six mountains and features 140 trails all served by 22 lifts. "The Beast of the East" benefits from a 4,241 foot peak elevation, an impressive 600-acre snowmaking system as well as over 250 inches of average annual snowfall. Killington's terrain is diverse but includes trails for beginners to the experts. Beginners will find gentle groomers and learning areas. While experts and advanced skiers and snowboarders have steep mogul runs, gladed trails and terrain parks to explore. Each of Killington's five distinct base areas serves up a unique personality and access to different terrain. Not sure where you parked? No problem! Base area lodges are color-coded and correspond to the lift and parking lot. Your lift ticket tie even matches the lodge where you started the day. Once the ski legs are beat, Killington village is home to a wide selection of restaurants, bars and lodging options, along with some great nightlife and après possibilities. The resort is also host to multiple activities other than skiing and snowboarding, including snow tubing, snowshoeing and sleigh rides.